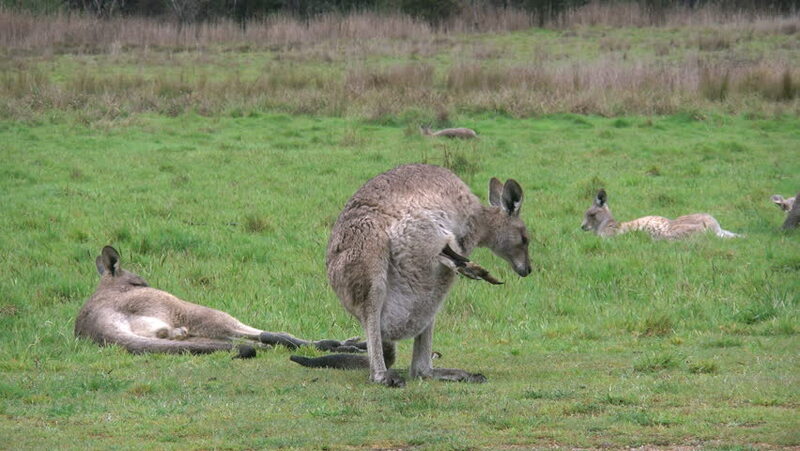 A joey sticks its head out of its mother's pouch. 4k00:23Masai Mara, Kenya - May 2016: Black-backed jackals and two spotted hyenas eating a carcass in Maasai Mara National Reserve. 4k00:12Cows grazing peacefully and in freedom, in a beautiful mountain landscape a sunny summer day. hd00:20Ewes rest and graze while their lambs rest, and two hen pheasants walk through the field.